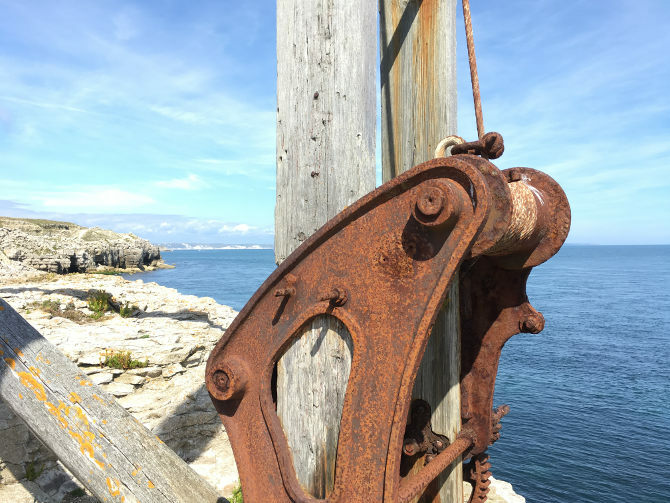 This piece of metal is part of a disused mechanism that stands on the cliff edge of Dorset’s Jurassic coast. The shore here is littered with relics from history, and pre-history, rife with potential plot lines. What could this machine have been used for, and by whom? What might that have to do with the many dinosaur fossils found in this locale? And what chance encounter could occur here? Write a story with this strange object at its centre or providing a scene-setting backdrop.